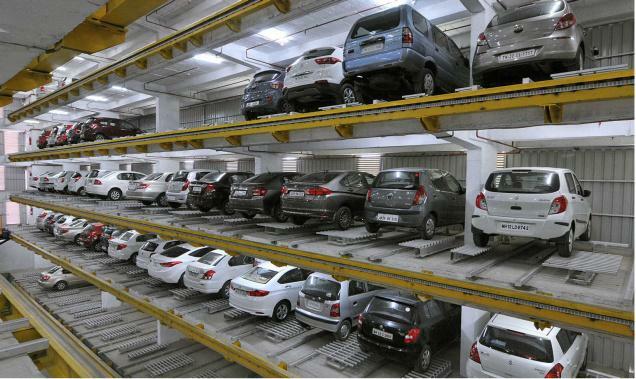 Multilevel car parking complexes will be constructed in the city to check the illegal parking of the metropolitan day and reduce the traffic problem.The various branches of the multilevel car parking complex will consider the needs of the proposals, Already the Principal Secretary has ordered to send him to Sarkar. The vacant places belonging to the respective departments were also identified and sent details. Hyderabad Metro Rail, which has more needs in the project, will be coordinating with other departments. All the multilevel parking complexes that will be built in the city will be constructed under the Smart Parking Management System running by the state police department. The complexes are available with the latest technology based on Public Private Partnership (PPP). The proposals and vacancies of various government departments will start from 30 to 40 in the city as the first phase of vacant parking lots.